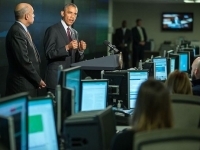 USPA NEWS - The French TV channel TV5MONDE was cyber attacked on the night of April 8 at 10pm (Paris Time). The TV channel has been reconnected with the rest of the world today from 6pm (Paris Time). At the time of publishing, legal and police investigation has just begun, as a complaint was filed by TV5MONDE. 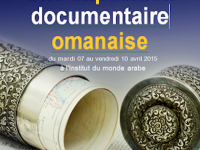 USPA NEWS - From 7 to 10 April 2015, the Authority of the National Archives of Oman organized in coordination with the Embassy of the Sultanate of Oman in Paris "a documentary exhibition" Oman in cooperation with the diplomatic archives of the Ministry of Foreign Affairs and International Development. USPA NEWS - Secretary of State John Kerry will travel to Panama City, Panama, from April 9 to 10 to join President Obama at the Seventh Summit of the Americas, which will include participation by all 35 countries in the Western Hemisphere for the first time.